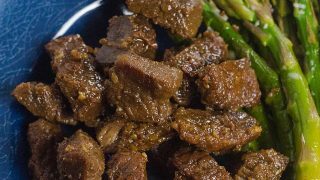 Instant Pot steak can taste so good. 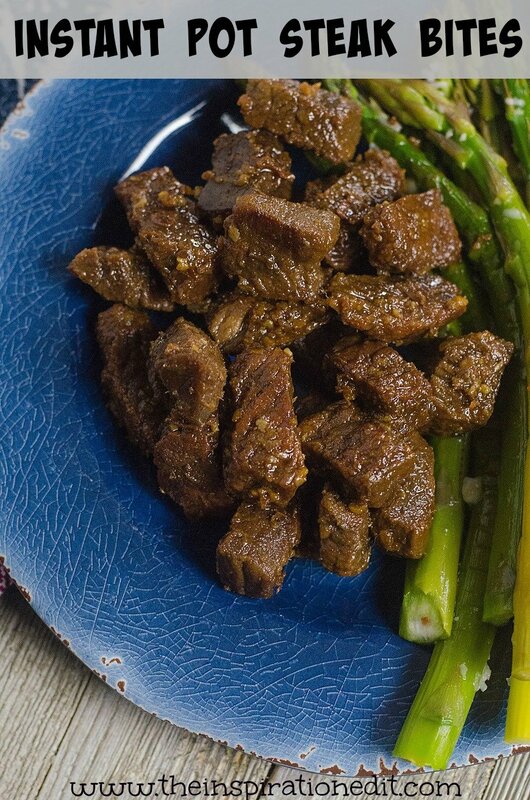 In fact today I am sharing my recipe for honey and garlic Instant Pot steak bites. 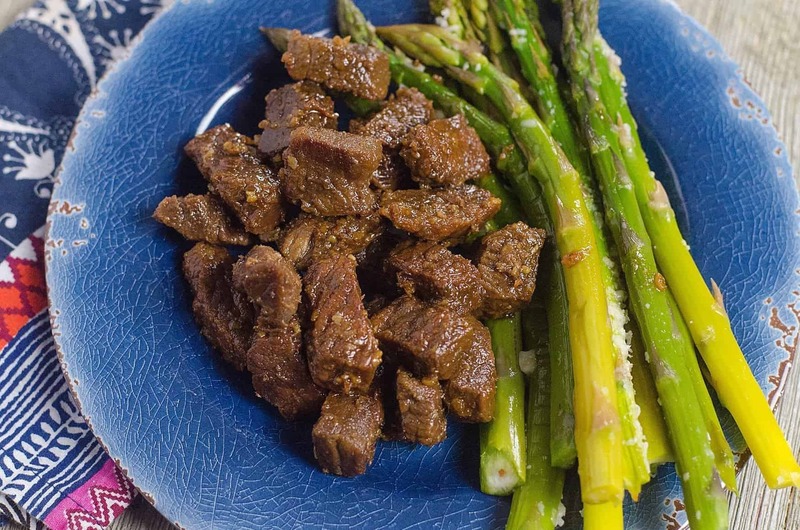 This is a tasty and delicious recipe with asparagus on the side. 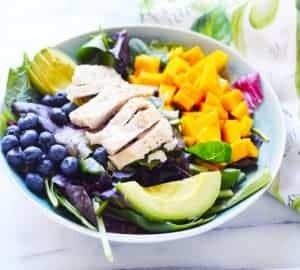 Enjoy this lovely and delicious recipe. We always do! Here are some of the benefits of eating beef in your diet. Beef is great for muscle building and tissue repair. Beef also contains a healthy dosage of zinc, which is an essential mineral for the body. This is a great source of nutrition for the nervous system, immunity and digestive system. Beef is a great source of Iron. It’s a great food to help people with anaemia and good for the red blood cells. 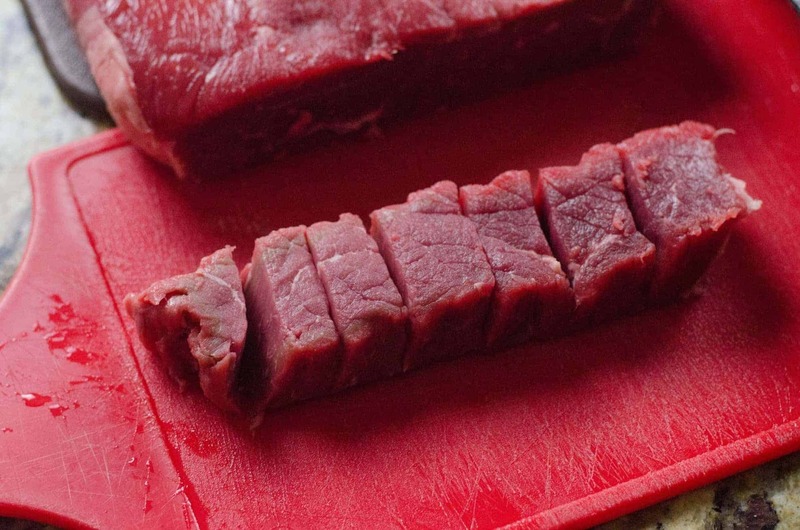 Slice steak into bite size pieces. 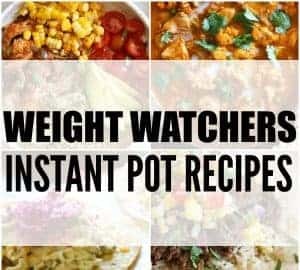 Turn the instant pot on saute mode. 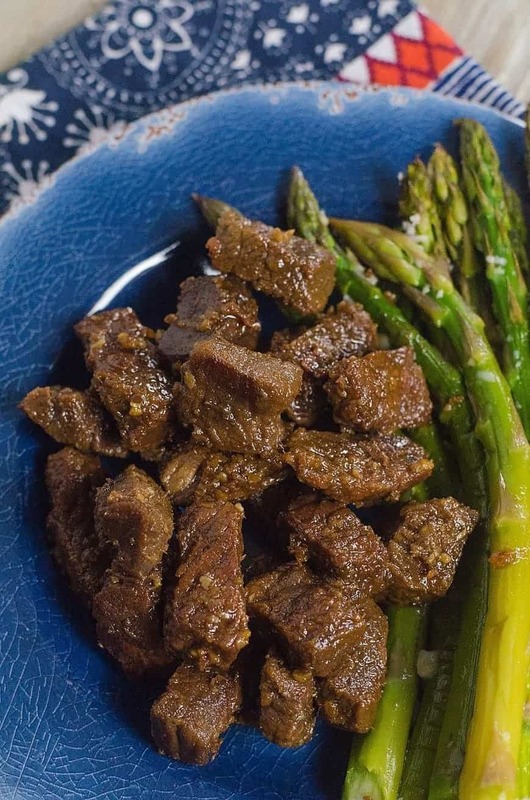 Saute steak bites with olive oil. Turn off saute mode. Pour in 2 tablespoons teriyaki and 1 tablespoon soy sauce. Toss with 1 tablespoon garlic. The liquid from the steak bites being sauteed along with the sauce is enough to bring it to pressure. Set to high pressure for 15 minutes. 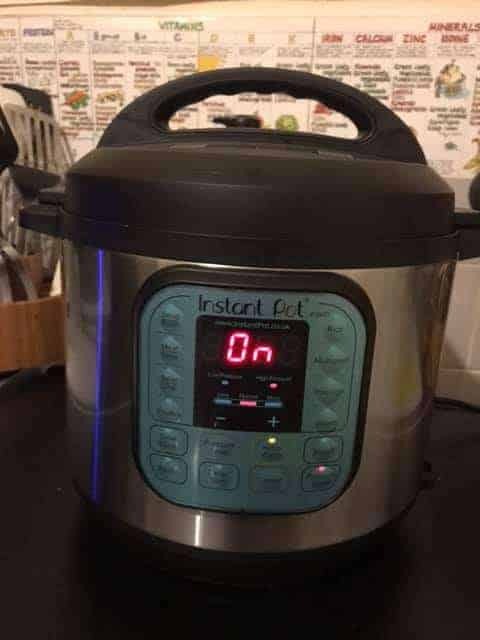 Once the instant pot is done counting then quick release pressure. Drain off the liquid. Add in remaining soy sauce and teriyaki. Toss with remaining garlic. Add in honey and stir well. This can be done on saute mode to keep the sauces warm. Serve! 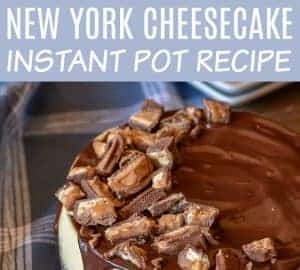 This is a tasty recipe for cooking steak bites in the Instant Pot. Toss with 1 tablespoon garlic. The liquid from the steak bites being sauteed along with the sauce is enough to bring it to pressure. Add in remaining soy sauce and teriyaki.